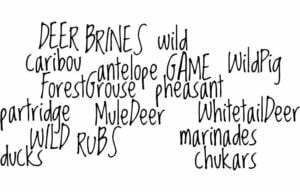 Eileen Clarke is the author of 9 wild game cookbooks including; Sausage Season: Making your wild meat wildly amazing, and Slice of the Wild: cut and cook game for your table. 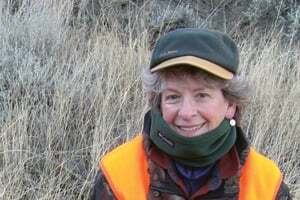 She is on the Duck’s Unlimited Culinary Council, and has served as game cooking columnist for two national magazines (Field & Stream and Successful Hunter), as well as written hunting stories for many other national magazines. 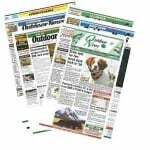 Eileen lives in Montana with her husband, John Barsness (who writes for the hunting and handloading magazines), and their chocolate Lab, Lena. They publish an e-magazine four times a year titled “Rifle Loony News”. 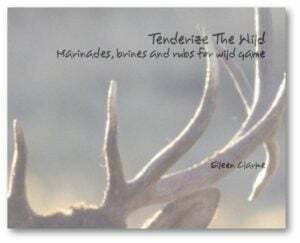 Eileen latest cookbook, Tenderize The Wild: Marinades Brines and Rubs for Wild Game is now available. 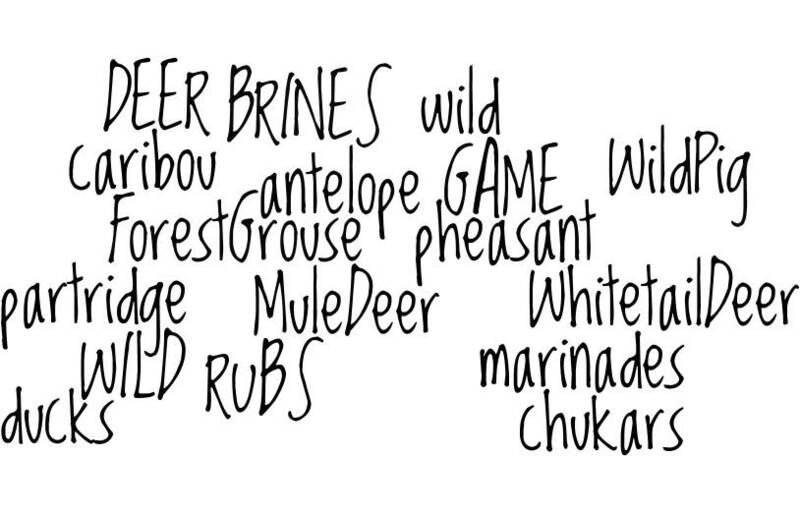 Eileen shares: “I hear it often: “why would you want to cover up the flavor of game?” But much more often I hear, “How can I make my game taste better and be more tender?” Since John and I like the flavor of game, and often don’t treat our game meat before cooking, I empathize with the first argument. But, for years, John trophy hunted mule deer in the rut, while I’d rather take a fat doe. so, we’ve had the off flavors, the gamy flavors and the bland ones.